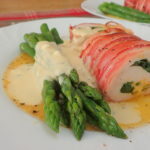 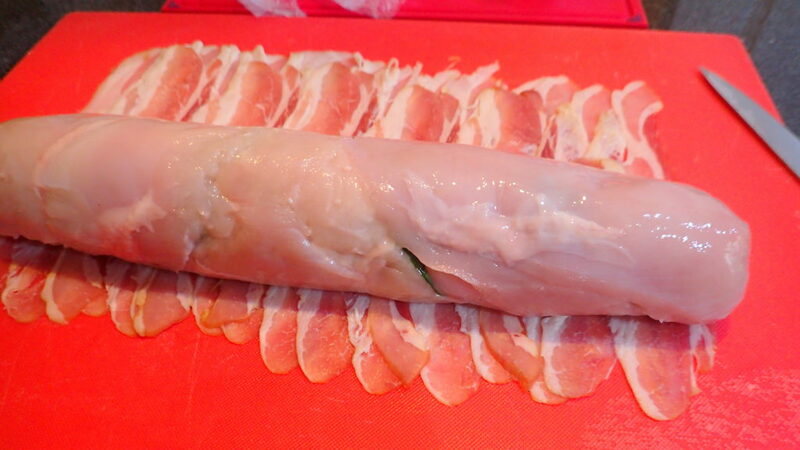 Chicken breast stuffed with spinach, blue cheese and wrapped with thin bacon. 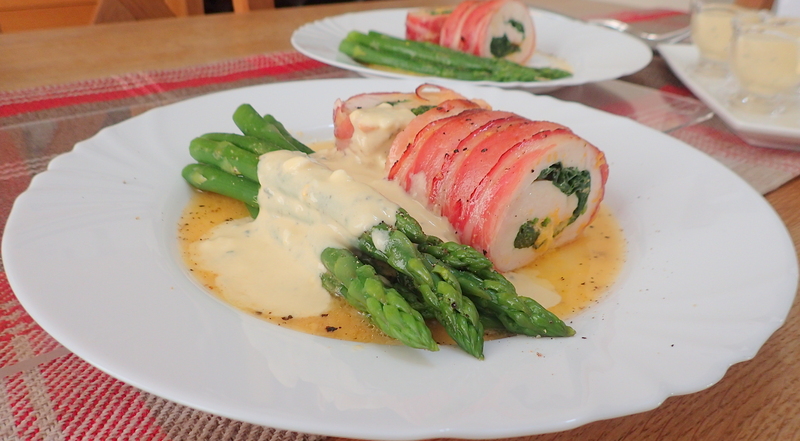 Served with a blue cheese sauce and asparagus sides. 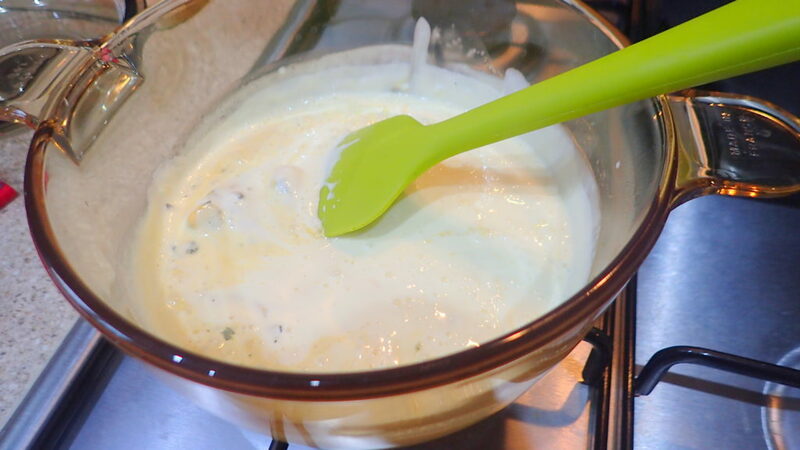 This cheese sauce recipe is just extremely easy. 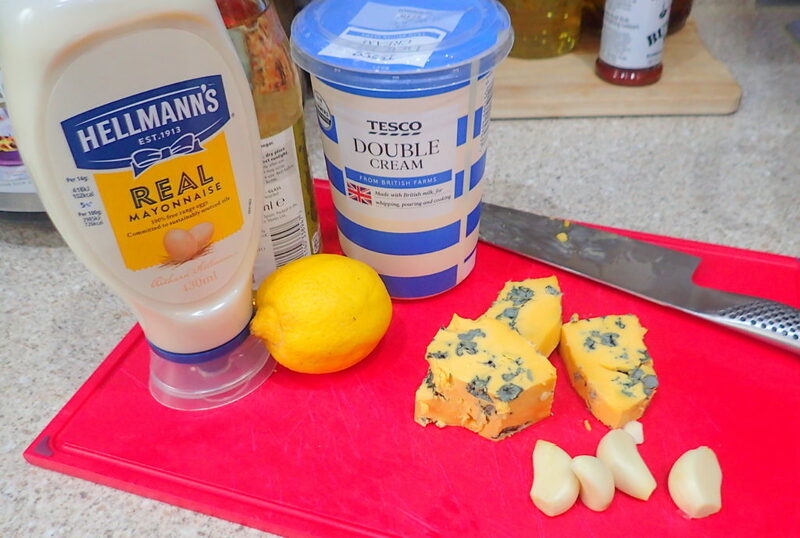 You can make it as a dip for chicken wings and even prawns. 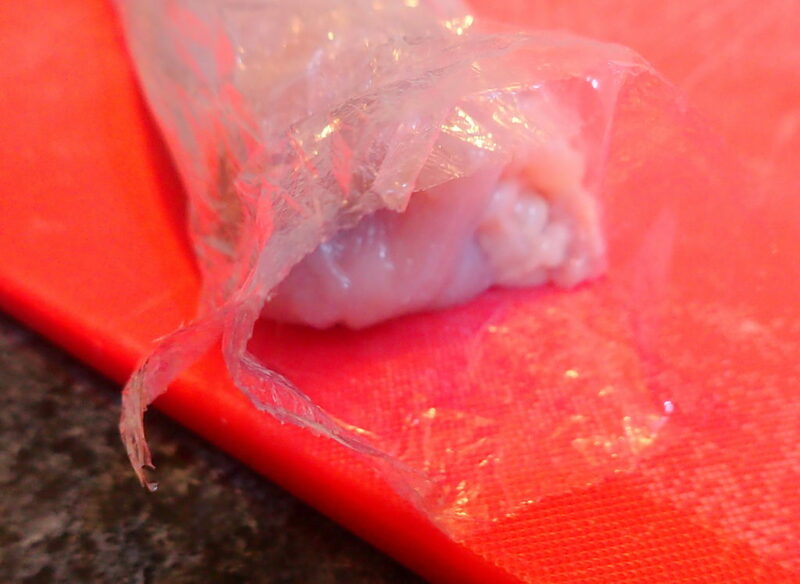 Chicken breast flattened on 2 [pieces of cling film. 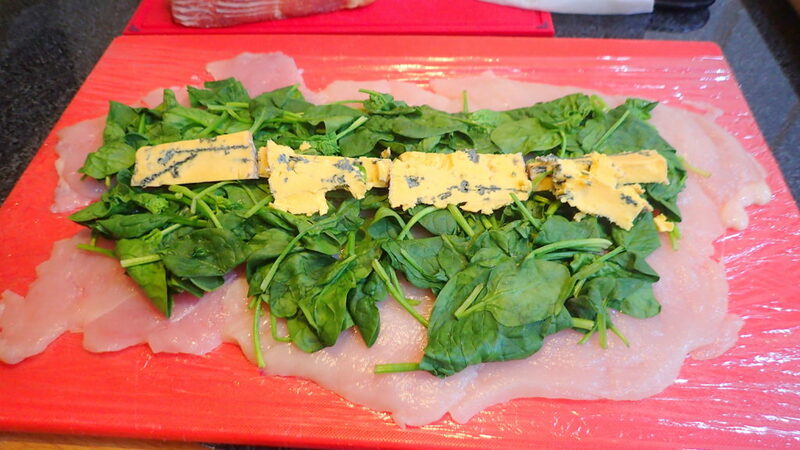 Topped with spinach and blue cheese. 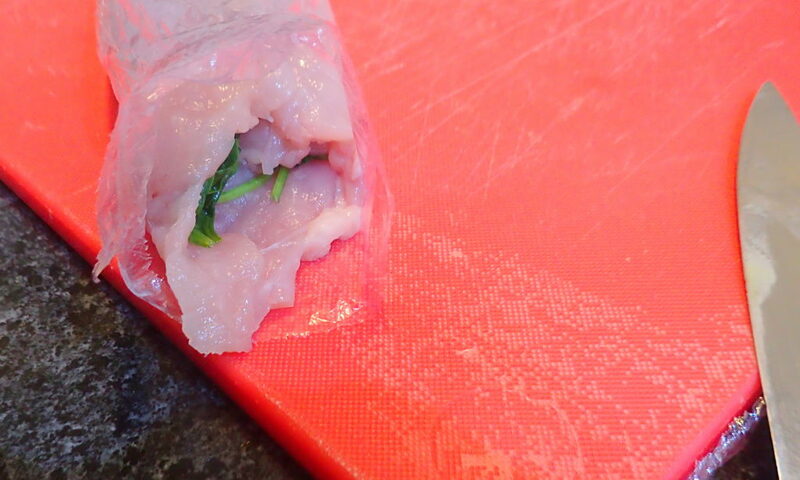 Use the knife to cut the cling film. 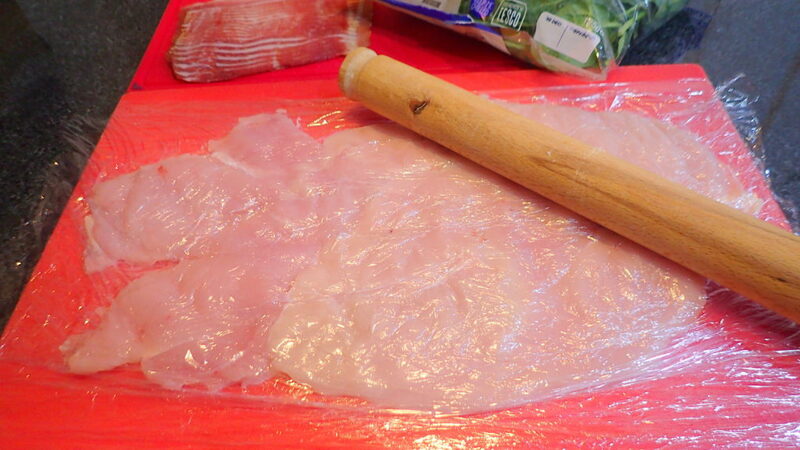 This is the corner flap you need to fold in. 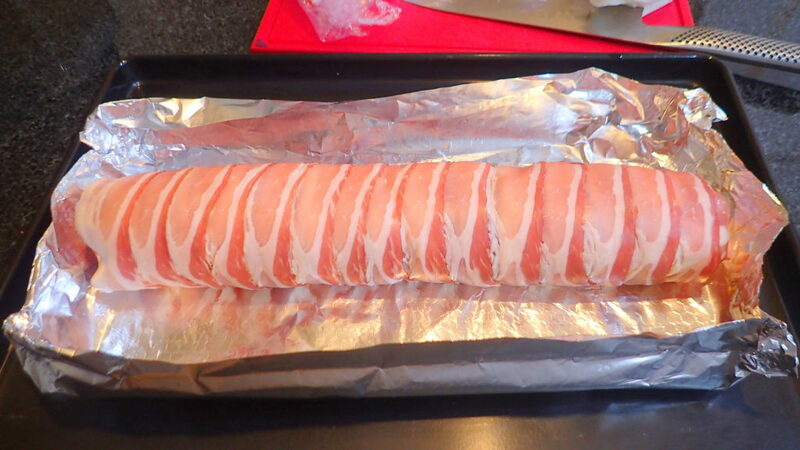 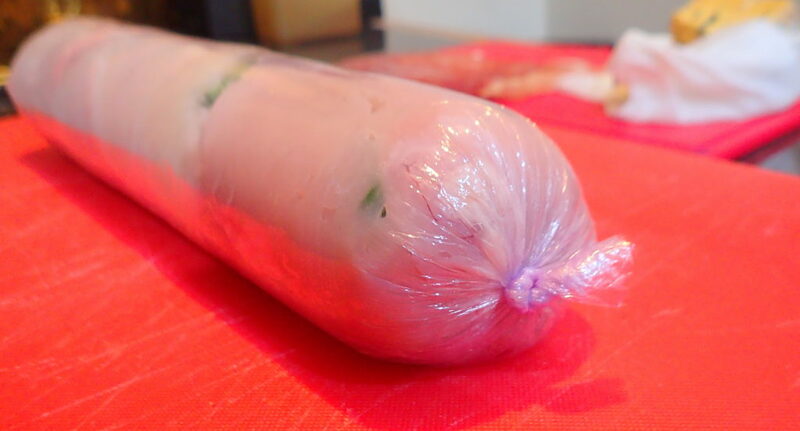 TIP – Roll up and place in freezer for 10 minutes. 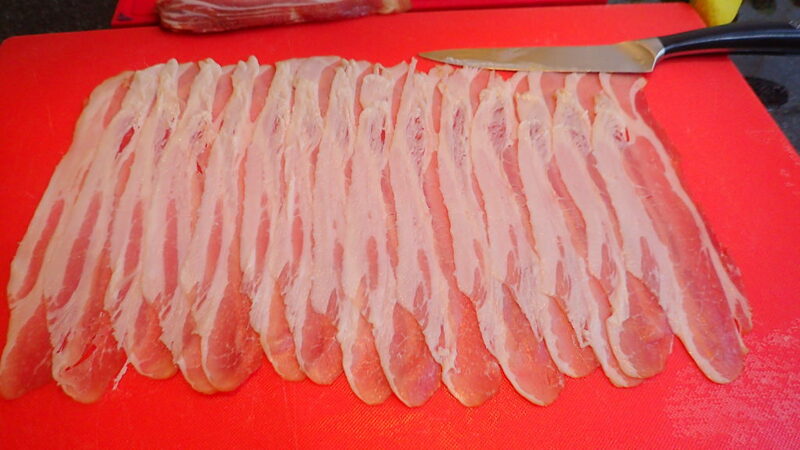 Lined your bacon like this. 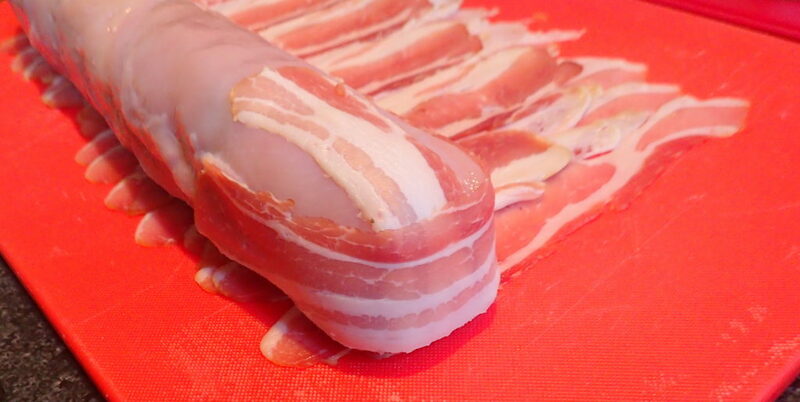 Remove from freezer and place on top of bacon. 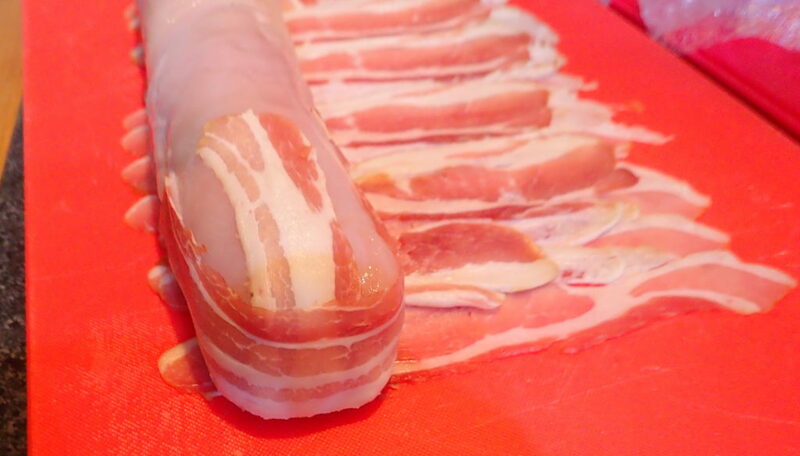 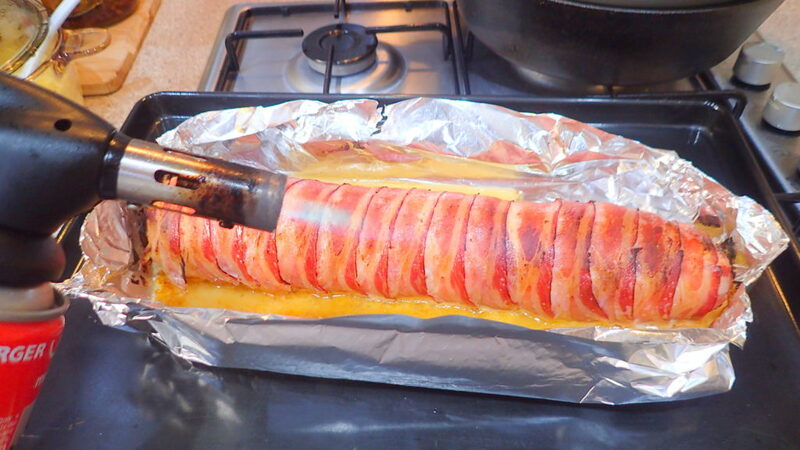 TIP – Use bacon to seal the corner like this. 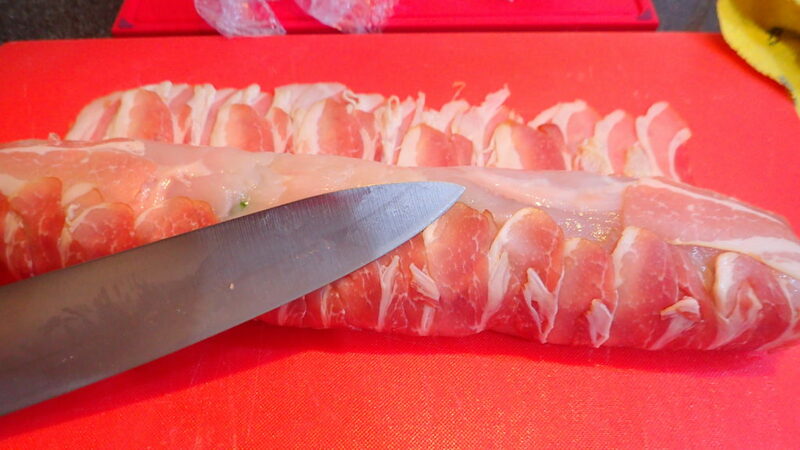 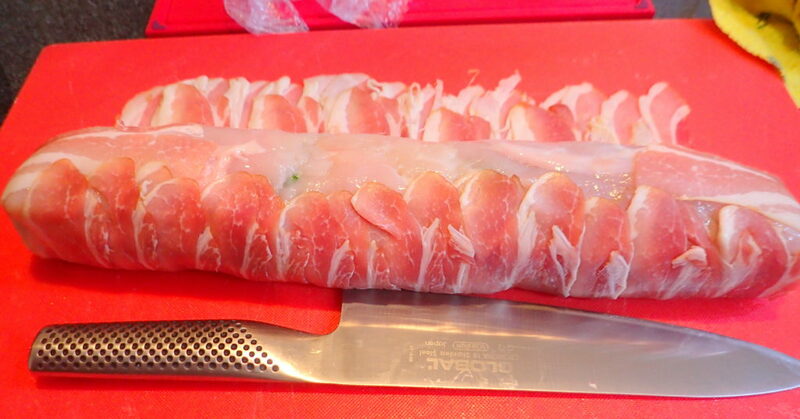 Use a chef knife to help wrap the chicken ballotine. 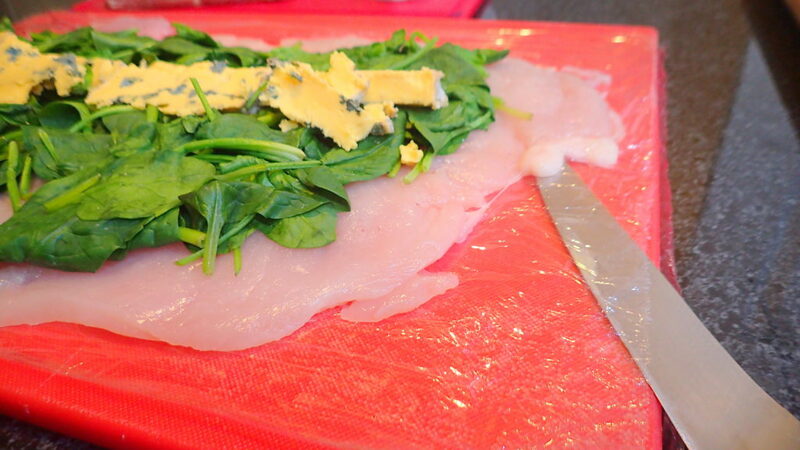 Use tin foil to help you roll onto baking tin. 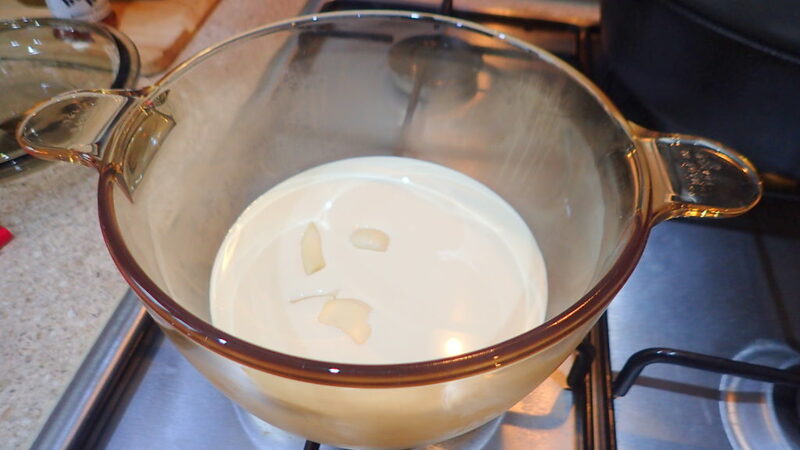 Fresh cream & mayonnaise – bring gently to just boiling. 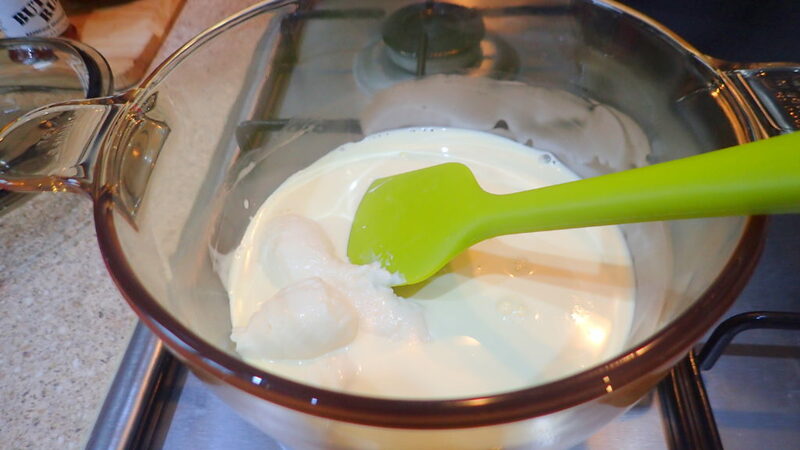 Mix well with a squeeze of fresh lemon juice. 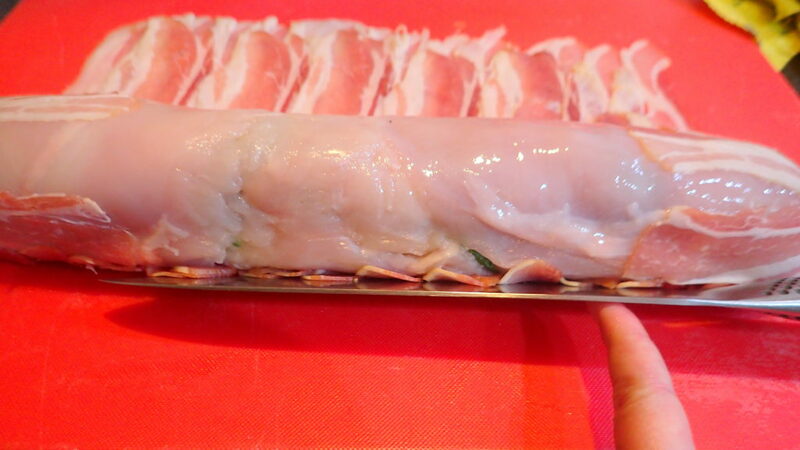 Remove the chicken ballotine from the oven.